Since 1975, I graduated from La Tech with a journalism degree, worked in broadcasting for 20 years before switching to banking. Recently switched again to working as Director of Business Development, Marketing and Tourism for Chamber of Commerce. Have lived in La, Texas and now GA since 1991. I have lots of great memories from Camden High...my 10th grade geometry class where I was the only girl, marching band, football games, Music Man, Miss Pace - the typing teacher, Mr. Caviness, Mrs. Margrave, Mrs. Davis, Mrs. Lester and the grief that Pat Reynolds, David Foyil and Doug Smith gave her! It makes me very sad every time I think that there are no Camden Panthers anymore. Renae Abbott Willis has a birthday today. 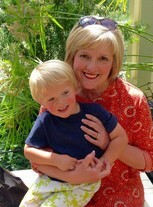 Renae Abbott Willis changed her profile picture. 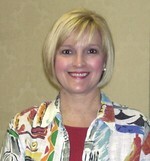 Renae Abbott Willis updated her profile. View.